Beautiful trucks get attention every day. You see a pretty one and it’s hard not to stop and stare. Ugly trucks, on the other hand, barely get a passing glance. It’s like high school all over again! Contrary to popular belief, an ugly truck is something to be proud of. Worn down by time and the elements, the ugly truck “trucks on.” Unable to be stopped by the forces of nature, the ugly truck still runs and bears the scars of a life well lived. From us at MVD Express to you, ugly truck owner, happy ugly truck day. Most of all, care for your truck like it’s an old friend. 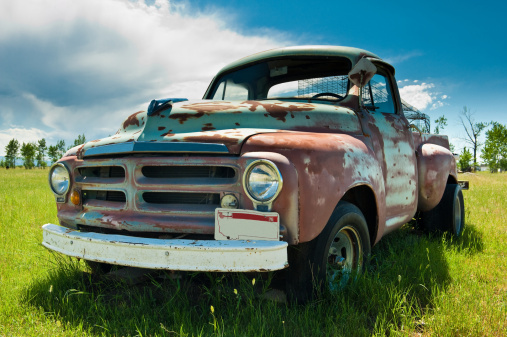 Without a doubt, your ugly truck has been through a rough time or two with you. There’s nothing like making sure your ugly truck is registered and properly titled to show it how much you love it. For all your ugly truck paperwork, MVD Express is here to help. Got an ugly truck you’re proud of? Share it with us on Facebook!